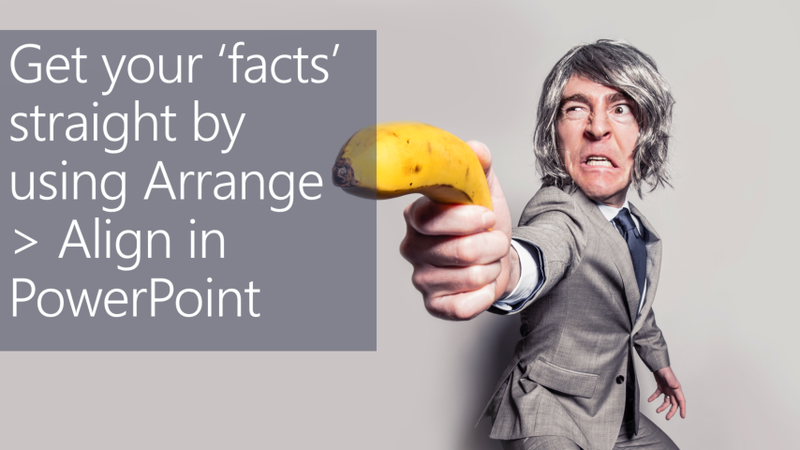 #Microsoft365 – Ever struggled to align shapes in PowerPoint? And yes, it got easier with the guidelines they brought in a while back. But there is an easier way. MUCH easier. Ever struggled to align shapes in PowerPoint? And yes, it got easier with the guidelines they brought in a while back. But there is an easier way. MUCH easier. Select all the images you wish to align by keeping Ctrl down while clicking on them. Once selected (1) – go to the “Format” Tab (2) > “Align” (3) then choose which type of alignment you want to use. I will be aligning my shapes first to the left, then I’ll align them vertically. Select the text you would like to align (1), click on the “Home” Tab (2) > “Arrange” (3) > “Align” (4) then choose which type of alignment you want to use.